The highlight of a Yosemite National Park vacation for many visitors involves touring the iconic granite domes and waterfalls or taking a mid-summer hike in the spectacular High Sierra. But Yosemite sparkles with a new kind of light during winter. For many, winter is the best time to come; a secret season when the crowds are gone and the air is clear. Yosemite visitors have formed winter traditions for generations in places like Yosemite Valley and Badger Pass. 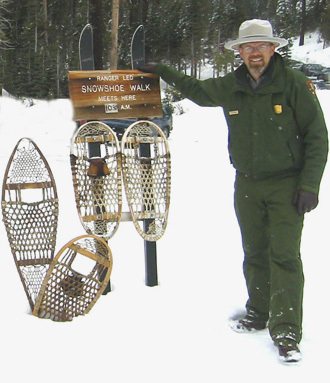 We asked our Chief of Interpretation, Tom Medema, an epic winter sports enthusiast, to share his impressions of a perfect winter day in Yosemite. Winter has the opposite effect on me as it does on much of Yosemite's wildlife. Instead of entering hibernation, it is a time of awakening and invigoration like no other! Crisp clean air, brilliant blue sky set against the blanket of white, silence except for the stride of my skis, joyful screams of trepidation and glee on the ski hill and ice rink — these are things that keep one coming back to Yosemite in winter day after day, week after week, year after year. Imagine the perfect winter morning: Yosemite Valley is blanketed in white with a fresh coat of snow outlining every detail – rock walls, black oaks, riverbanks, and historic buildings. The sublime scenery created in winter here is almost overwhelming. And it's not just the stunning site that takes my breath away … the historic and significant ice rink at Curry Village offers visitors and locals alike a unique and addicting way to raise heartbeats and stretch cramped winter legs. In the 1930s, Yosemite boasted a successful travelling club hockey team, a team that travelled as far as Los Angeles to play matches. Figure skating, speed skating, and ice dancing were all the rage at Curry Village; a unique tradition that continues today with adult and youth hockey, figure skating lessons, and open skating for the public — all in the shadow of Half Dome and Glacier Point. It is unquestionably the most scenic ice rink in the world. For ski enthusiasts, the perfect day starts with a careful drive up the mountain road to Badger Pass for a quiet morning of cross-country touring on trails surrounding the downhill ski area. 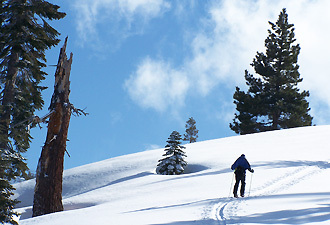 Follow this with a fun and adventurous snowshoe walk with a park ranger and end the day in high spirits with an afternoon of lift-line-free downhill or telemark skiing at the oldest and most historic ski area in California! Badger Pass is a perfectly unintimidating family mountain, great for beginners and tough enough for experienced skiers to find great lines through the trees or on the short steeps. Want to get involved and learn more about how you can create a perfect winter day? 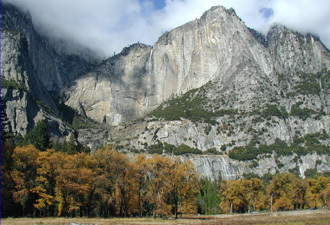 To start your own Yosemite tradition, visit our website at www.nps.gov/yose and start planning.